There’s never been a greater need for people like Woods. The average age of the American farmer is now 57.5, and as agriculture increasingly demands a commitment to carbon sequestration, soil health, and regenerative techniques, the future of young, ecologically-minded farmers is essential to the future of food. According to the newly released 2017 Census of Agriculture from the U.S. Department of Agriculture (USDA), there were over 321,000 young farmers (under the age of 35) in the U.S. That count is up from 2012, when there were 208,000. 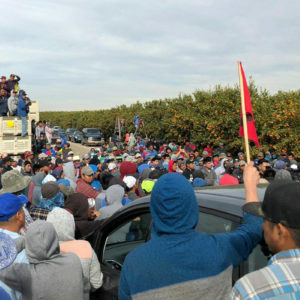 While that might sound like a sizable leap, the numbers are complicated by the fact that the USDA only recently began allowing farms to list more than one “operator”—meaning children of farm owners can now be listed along with their parents. Since over 100,000 of those young farmers—nearly the entire difference—are part-owners or tenants of the farm, the overall percentage is only up by 2 percent, from 7.6 to 9.4 percent of total farmers. These relatively static numbers reinforce the need for a new generation in agriculture. But young farmers often face a number of challenges when trying to get started. Many carry with them student debt that makes affording land—much less investing in sustainable projects—close to impossible. In response, a number of states and academic institutions are launching initiatives—including a debt-free agricultural college for hopeful farmers, as well as tax incentives and loan programs—to help beginning farmers access the funds they need to start out strong. 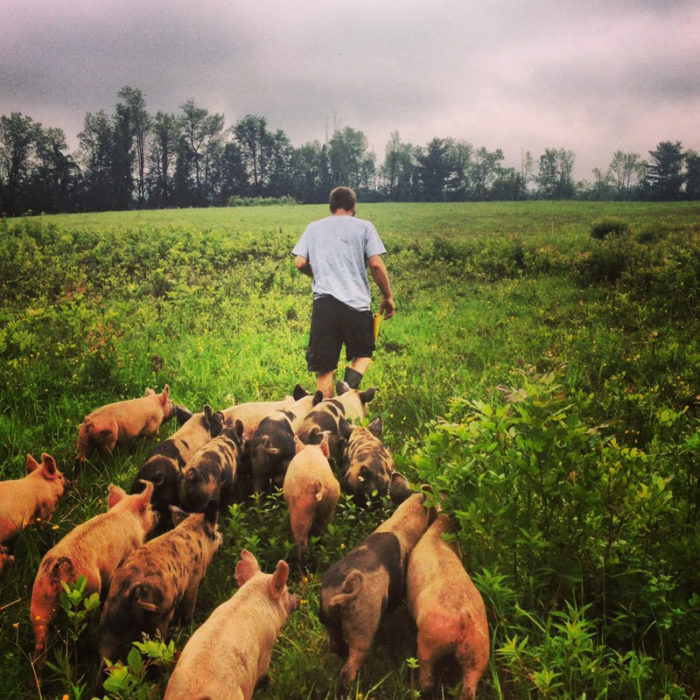 As more young farmers enter the field, an increasing number are entering other fields, too. Two-thirds (more than 200,000) of the young farmers counted in the new census listed their primary occupation as something other than farming—meaning they work other jobs to pay the bills and keep the debt in check, and run the farm in their off hours. That finding fits with a larger trend from the 2017 NYFC Survey, which revealed how a solid majority of young farmers—including Curtis Breuer of Grape Hollow Farm in New York’s Hudson River Valley—are first generation and college-educated. But that same NYFC survey revealed something less encouraging: how many would-be farmers are hindered by student debt. Of course, the weight of college debt extends far beyond farmers. But it’s especially severe for those pursuing careers in sustainable agriculture—a field typically associated with low profit margins and high operational costs. Even Breuer, while thankful for his background in natural sciences, agreed the cost of college doesn’t make sense for farmers. “Had I known I was going to end up farming, I probably would not have gone to one of the top 50 most expensive colleges and opted for apprenticing instead,” he admitted. 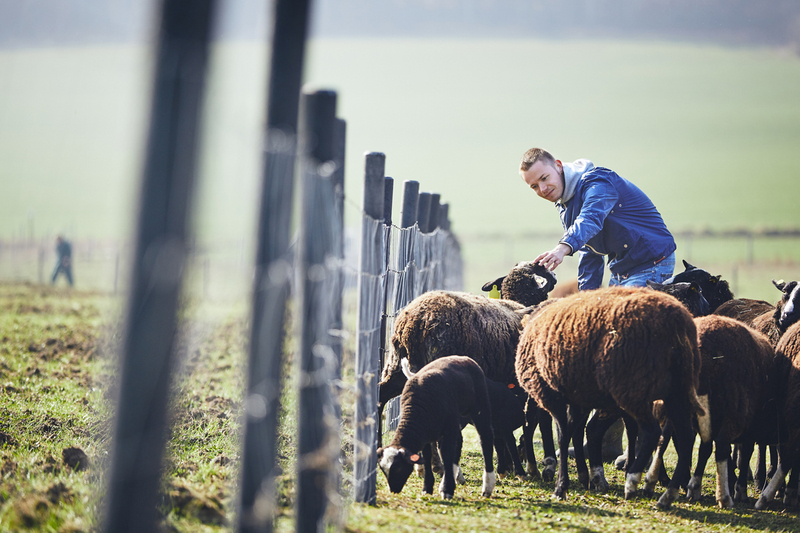 Despite debt and other factors preventing young farmers from committing to the field, support from public and private institutions may be partially responsible for the 2 percent increase in young farmers in the latest census. On a state level, New York, Minnesota, Pennsylvania, and Delaware all appear to be on the case. 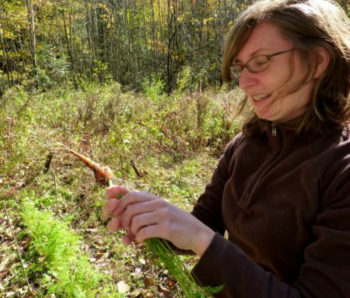 In New York, the New Farmers Grant Fund Program issues $50,000 grants to farm projects in the state that advance “sustainable agricultural production practices.” Begun in 2014, the program has awarded $3.27 million to New York’s farmers—funding that’s paid off immensely for its grantees. Mace Chasm Farm, for instance, has reportedly increased its earnings through its grant-funded project: a walk-in cooler that’s allowed the farm to increase storage capacity, stockpile products, and endure market and seasonal changes, according to Adam Ostrowoski, of Empire State Development. But even with financial support or loan forgiveness, many would-be farmers face another challenge that escaped earlier generations: land access. When asked about what’s working to improve young farmers’ land access, NYFC’s West mentioned Minnesota—where the local NYFC chapter recently passed a bill that uses a tax credit system to incentivize the sale of farmland and farm equipment to young farm workers. So far, she said, the program has had applications from 439 farms, and has been redeemed for nearly $2.3 million in tax credits. Minnesota’s success helped launch a similar proposal in Pennsylvania just last week. 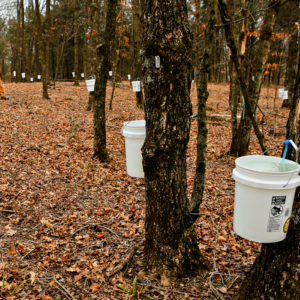 If passed, the bill would connect “qualified beginning farmers” to land access by giving each selling landowner up to $32,000 in tax credit. 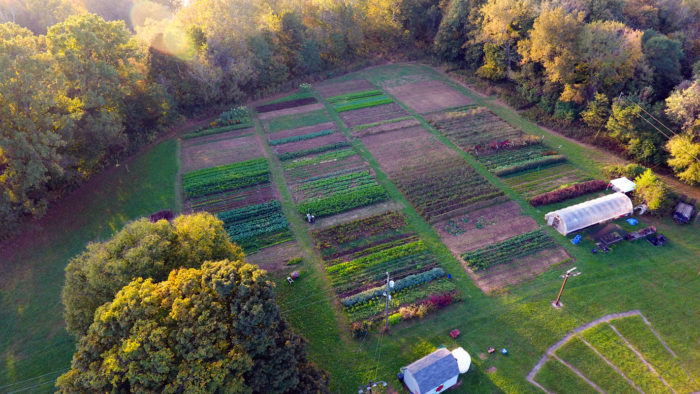 That logic launched Delaware’s Young Farmer Loan Program—an initiative that, since 2010, has awarded $7.3 million to 34 young farmers, who’ve collectively purchased 2,600 acres of land. “We wanted a program that didn’t just provide education and technical assistance, but also funding,” Short said—adding that the average loan covers 50 percent of the land purchase price. Still, Short acknowledged, the program is “not perfect.” Since the maximum award is a $500,000 no-interest, 30-year loan, the “young farmer still has to go out and negotiate a very favorable deal with the seller,” and, in most cases, “get a commercial loan to make up the difference,” Short said. For would-be farmers with deep student debt, that could be difficult. A recently announced partnership between Sterling College in Vermont and the Wendell Berry Farming Program has another, perhaps more radical, solution to avoiding student debt for farmers: sending Sterling students to learn “ecologically mindful and economically viable agriculture” out in the fields of Henry County, Kentucky—for free. For Berry and Matthew Derr, Sterling College’s president, the partnership’s success isn’t measured in “collegiate outcomes,” like grades or test scores. Instead, Derr explained, programmatic success looks like “thousands of acres in Kentucky being farmed well” for future generations. According to pilot student Brennan Gallagher, Sterling’s place-based educational approach is key to that goal. “Farmers a hundred years ago had limits to work, which kept them from over-farming and destroying the land they love,” he said, explaining how his experience in the “agrarian community” helped bring the importance of sustainable methods to life. The program, currently supported by the NoVo Foundation, can only support a maximum of 12 students per cycle. But that number may grow if it can demonstrably convert students into long-term farmers. 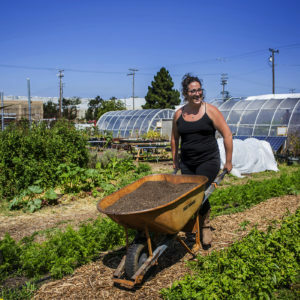 Though these programs are only a small start in responding to the deep, intertwined systemic mess of student debt and land access, there’s one area of unwavering hope: the value young people see in farming.